When the word “beach” is in the name not once, but twice, you can be sure that the resort offers water in every direction. 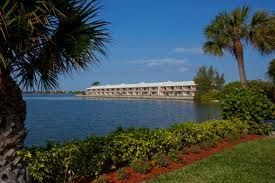 Situated on its own peninsula in the Intracoastal Waterway, the Palm Beach Resort and Beach Club is a quiet, serene Florida timeshare property. 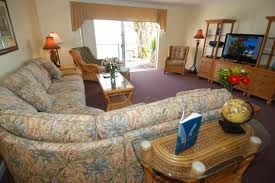 Directly across from the resort is the Atlantic Ocean, and white sand beaches are only minutes away. 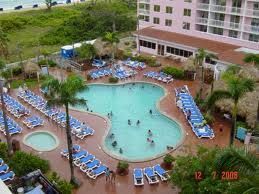 The timeshare is approximately eighty miles from the Miami International Airport, fifty miles from the Fort Lauderdale-Hollywood International Airport, and less than ten miles from the Palm Beach International Airport. This unique beach community is home to an upscale way of life, including the 200-plus high-end shops, boutiques, and galleries of the legendary Worth Avenue. There are also more than 150 public and private golf courses in the area, in addition to yacht charters, museums, polo matches, and countless other ways to have fun. For guests who appreciate a great bike ride, the resort has arranged bicycle rentals through a local bike shop that specializes in the most elite names in recreational and competitive biking. Choose a one- or two-bedroom floor plan for your holiday at this Florida timeshare resort—you’ll have all the space and amenities you need for a relaxed vacation. One-bedroom, one-bath units sleep up to four people. 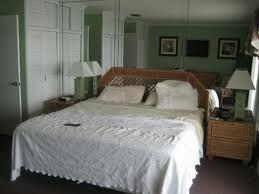 The bedroom includes a king bed and a sleeper sofa. Two-bedroom, two-bath units sleep up to six adults with a king bed in the master, twin beds in the second bedroom, and a sleeper sofa. Both floor plans have a full kitchen with oven, refrigerator with icemaker, and a dishwasher, a living and dining room, televisions in the master bedroom as well as the living room, a DVD player, air conditioning, and an outdoor living space with furniture. 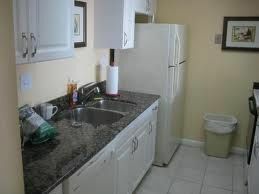 To make your vacation more fun and more convenient, these timeshare resales and rentals have a self-service laundry, an outdoor pool overlooking the waterway, onsite fishing, and barbeque grills. Restaurants for both fine and casual dining are nearby, along with shopping, tennis, and a diverse range of activities, sports, and entertainment. 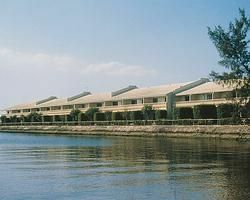 The Palm Beach Resort and Beach Club is a sister resort to the Suites at Americano Beach and the Suites at Marina Bay. Contact Palm Beach Resort & Beach Club Specialist Today! Just a few miles down from Jupiter in West Palm Beach, this little piece of heaven was everything we hoped for. Excellent service, beautiful accommodations, right on the beach, tropical birds who talk to you, and awesome restaurant with FUN entertainment. I would go back in a second! Prime Rib and Lobster, white sandy beach, and an A plus staff!